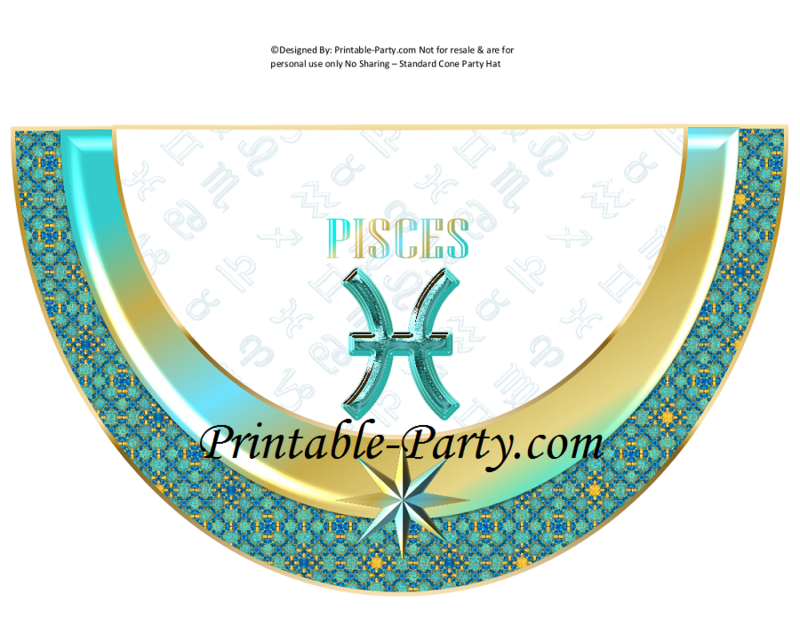 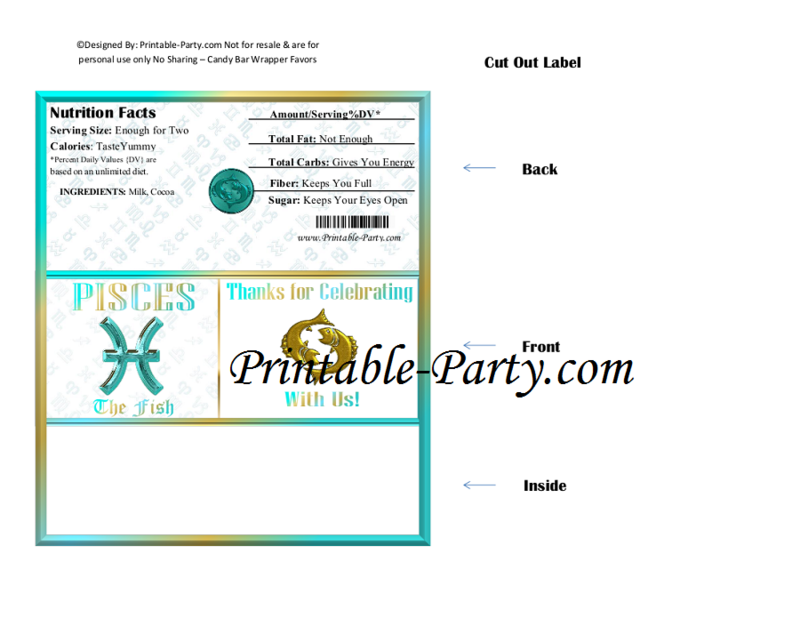 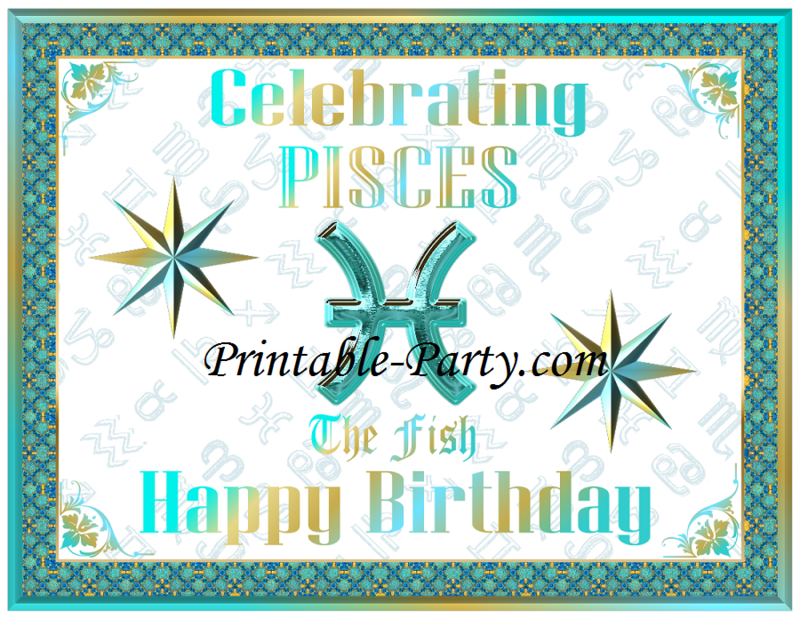 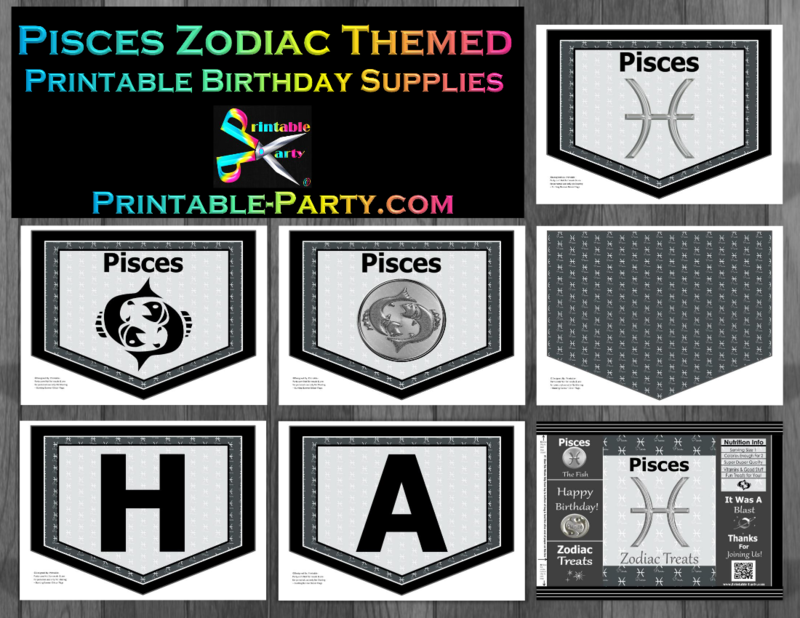 Pisces Printable Zodiac Sign party supplies for you to create a unique looking celebration. 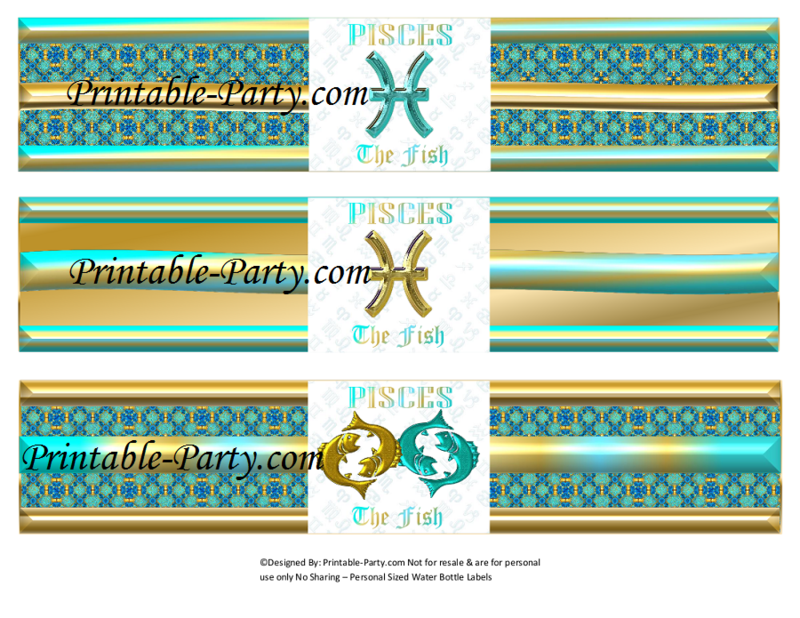 This unique zodiac sign themed decoration is blended with aqua & gold tones. 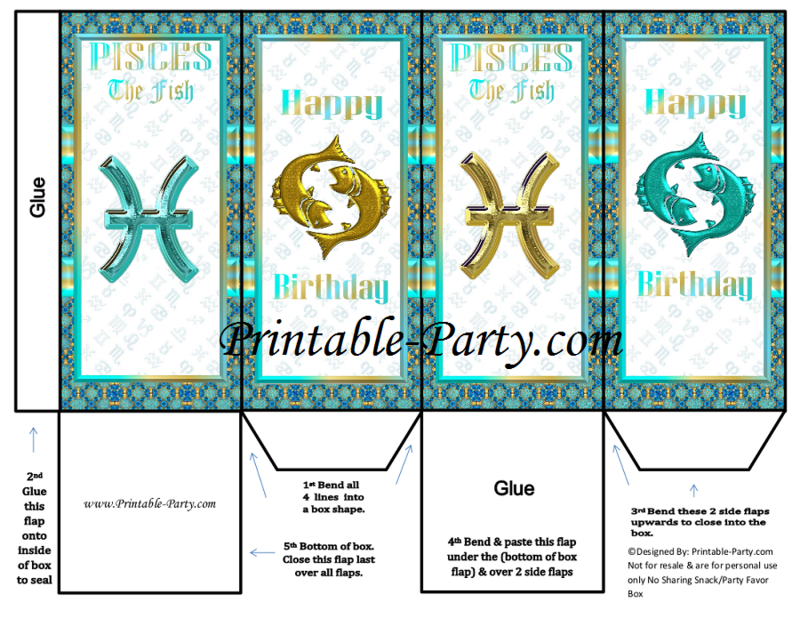 This design includes Pisces zodiac sign symbols of the fish & astrology sign lettering throughout. 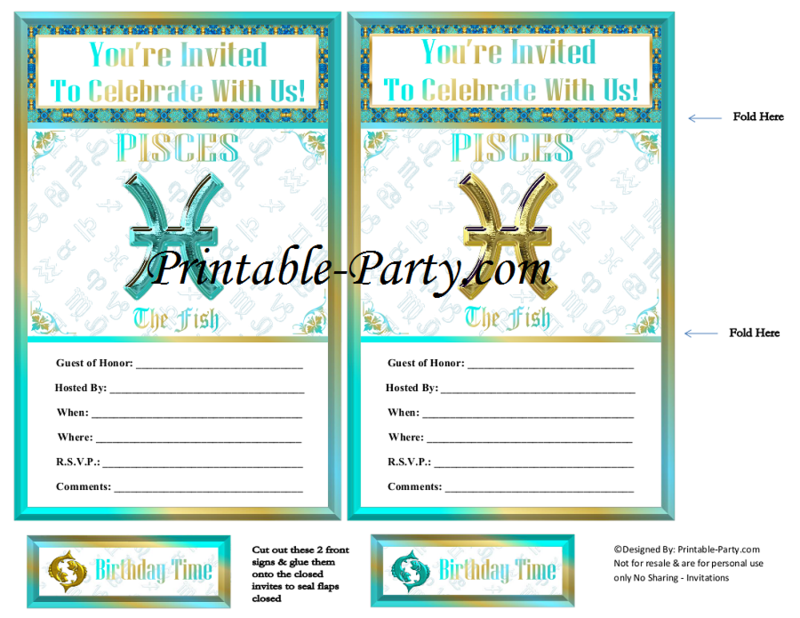 You can create a stylish party using this theme that is unlike the rest.